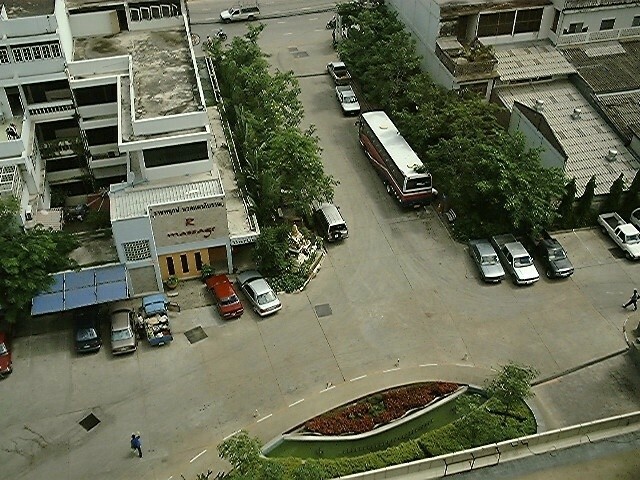 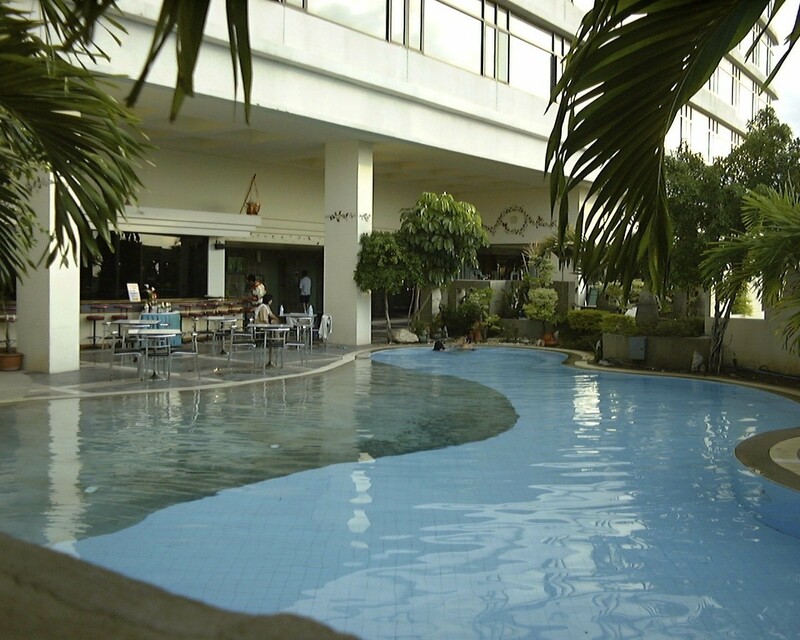 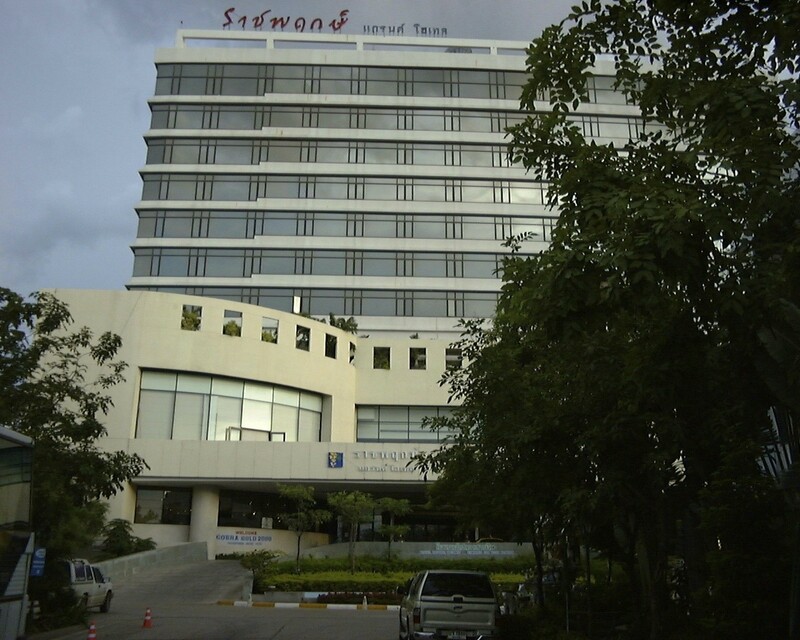 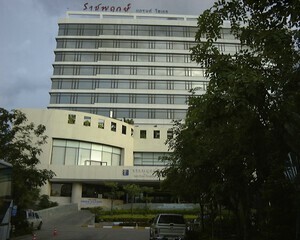 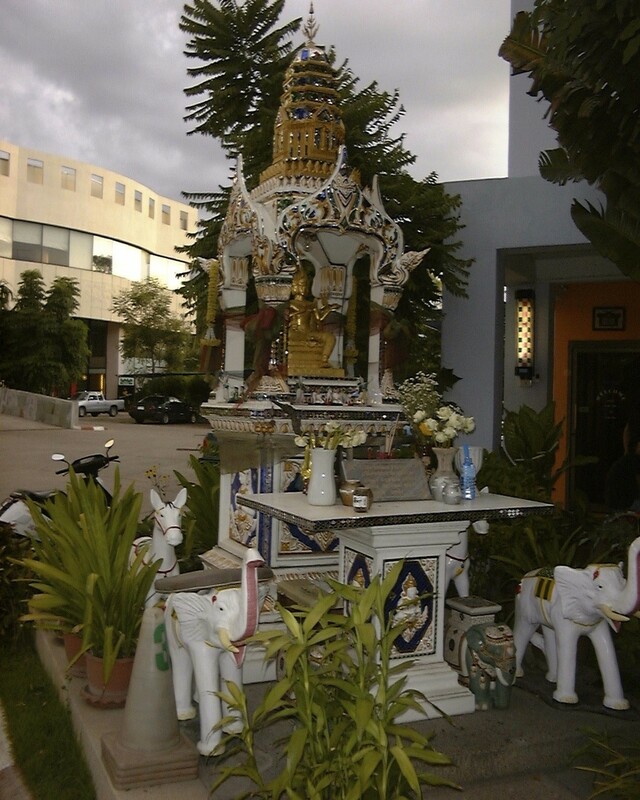 In Nakhon Ratchasima Thailand, or Korat for short, there is the Ratchapruk hotel. 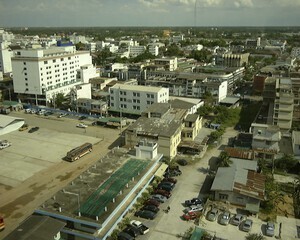 You can see the Main Street the hotel is on and the front of the hotel. 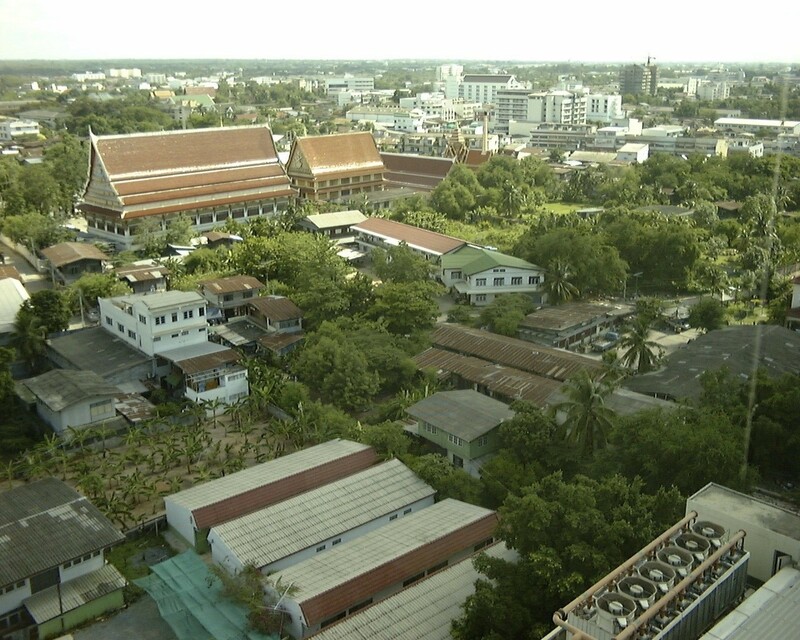 Below are photos of the view out of the back of the hotel. 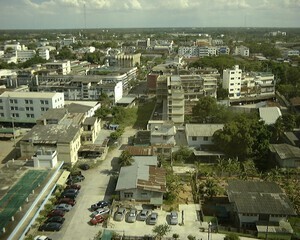 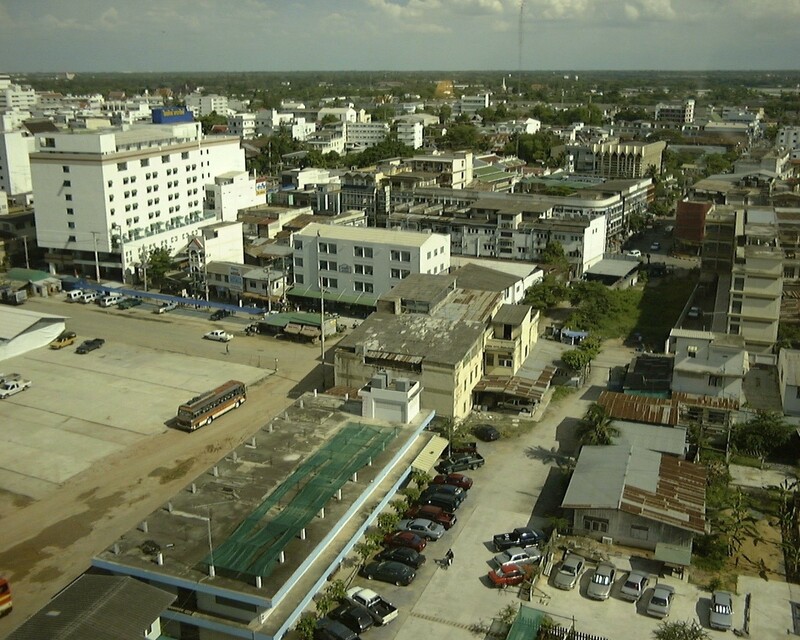 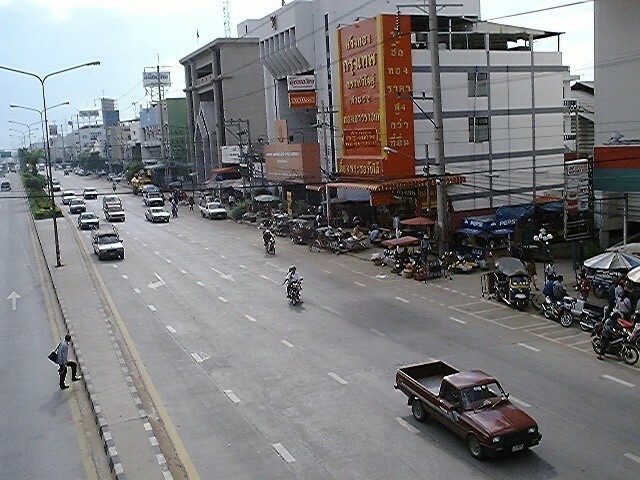 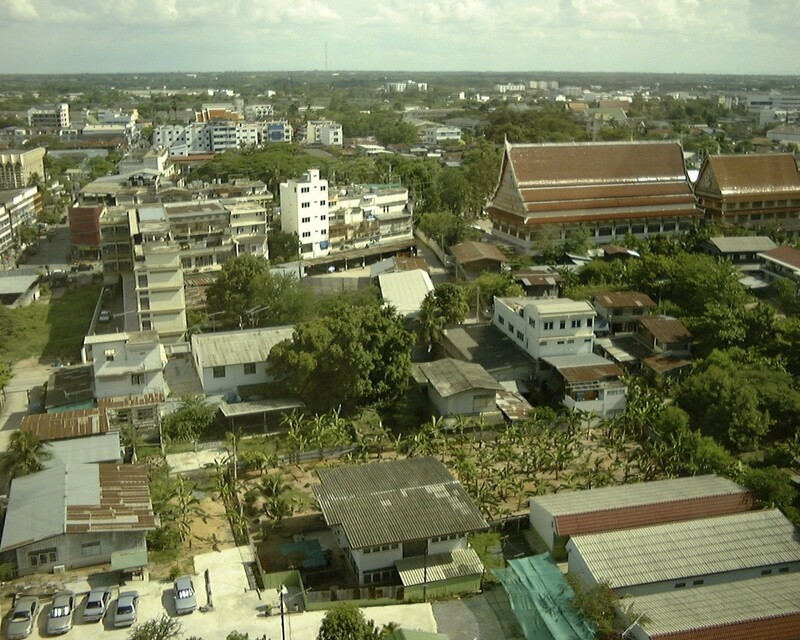 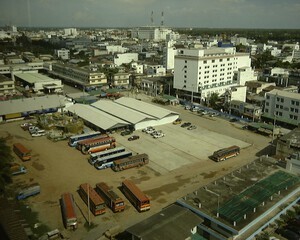 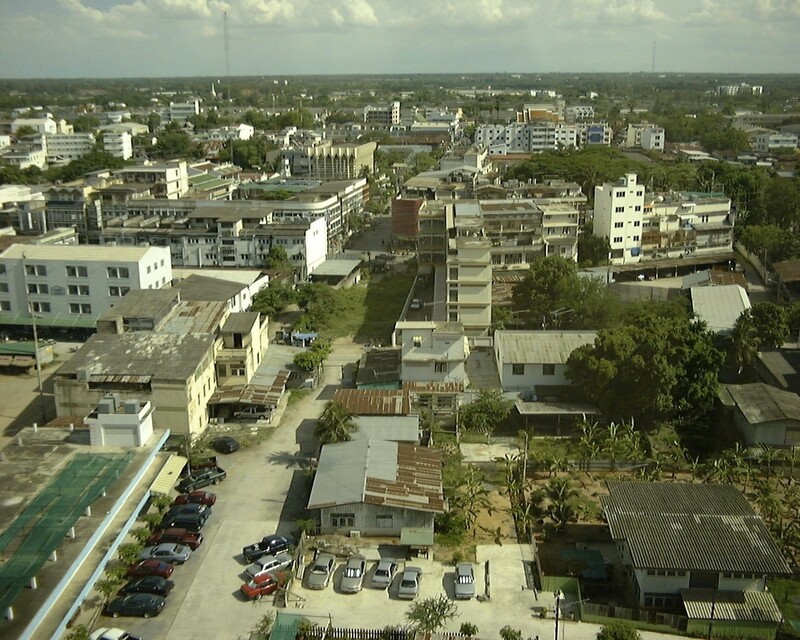 It shows the what the surrounding area looks like in this spread out city in the north eastern province of Thailand.